Residents have been warned about a scam which lures elderly people out of their homes before they are robbed. The trick involves a delivery slip, on which it is written that there is a parcel waiting in the victims’ bin. When the home-owner leaves to check the bin, a person is thought to then enter the home in an effort to rob it. The warning comes from the Killester Residents Forum, where it is reported that the hoax was attempted. According to the neighbourhood watch group, a delivery docket came through a local resident’s door with “UPS parcel left in your black bin” hand written on the back. The administrator of the group, Miriam McGowan urged residents to be vigilant, as she says the hoax targets older people who may be more susceptible to the trick. “Turns out it’s a hoax designed to see if anyone are in the house,” she said. “If so, they may be watching to see if anyone comes out to check the bin while they sneak in to raid the house. Apparently they tend to pick on older folk who are more vulnerable. The delivery slip, used for the scam reported by the group, was not filled out and only had the writing on the back. In the case of a real delivery, the slip should be at least partially filled out. A spokesperson for UPS told Independent.ie said that no parcel would ever be left anywhere without first consulting the owner of the property. “We never leave anything in the bin unless we have the authorisation of the person. We would have to physically speak to them. The Gardaí are currently unaware of any hoax like this one but remind residents on their website that any suspicious behaviour should be approached reported to your local Garda station. They also recommend securing your home to make burglaries more difficult. 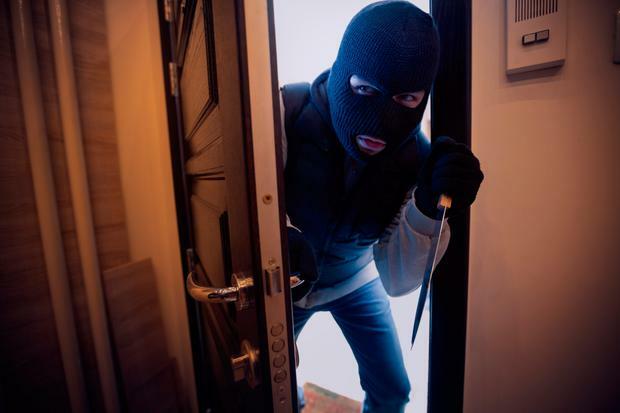 “By taking some simple precautions you can reduce the risk of being burgled,” they say. “Increase the security of your home and garden and make life more difficult for any would-be intruders. Secure all doors and windows, light up your home and use timer switches when out.